There are certain characteristics of Watermelon that make it distinct from the other fruits. Few examples are its shape, texture, taste, color, season, varieties and origin. 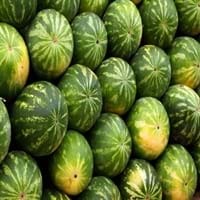 Talking about varieties, Watermelon is not available in just one form. Development in the field of horticulture has made it possible to consume this fruit in various forms without changing its characteristics. Some of the varieties include Sugar Baby, Sangria, Golden Midget, Starlight, Jubilee, Starbrite, Extazy, Stars 'n' Stripes, Mickylee, Yellow Baby, Yellow Doll, Little Baby Flower, Sweet Favorite and Cream of Saskatchewan. 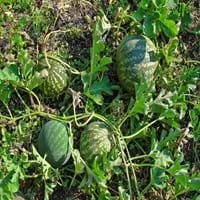 Watermelon varieties are available in seedless form. The shape of this fruit is Round and its textureis Crispy. Taste forms one of the important characteristics of fruits. 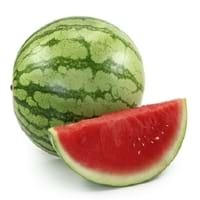 Talking about Watermelon, its taste is sweet. Watermelon color makes it even more attractive and hard to resist. Vitamin A and vitamin C are found in abundance in green color fruits. Folate, potassium, and vitamin C are often found in yellow color fruits. White, red, blue and purple color fruits generally contain potassium, vitamin A and vitamin C. Thus, color of this fruit helps in identifying its nutrient content. Watermelons are available in shades of canary yellow, coral red, orange, salmon yellow, scarlet red and white.